Everyone gets excited when they hear that a new baby is on the way. You may even get extra excited when that new baby is going to make you and Auntie or and Uncle for the first time! That is exactly what was happening to the customer that ordered this baby sweater. She wanted to make sure she spoiled her soon-to-be nephew and knew that one of the best ways to show her love was to wrap him up in something homemade. 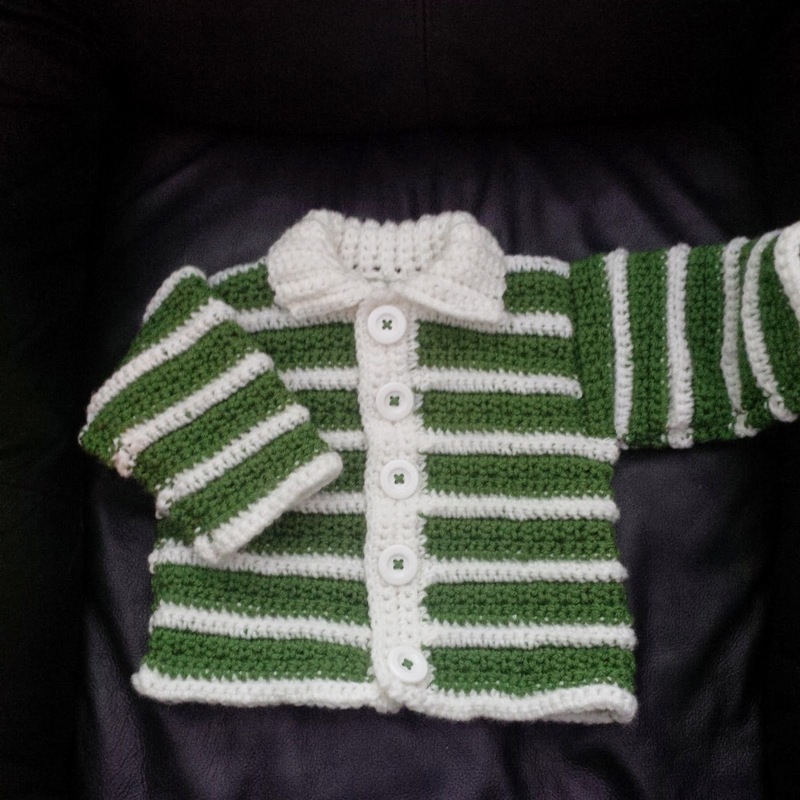 This is a crocheted sweater, made to fit 12-18 months. Both the colours and pattern were picked out by the customer. I love the green and cream together. The stripe pattern was made unique by the raised white stripe (easiest to see evidence of this on the collar). 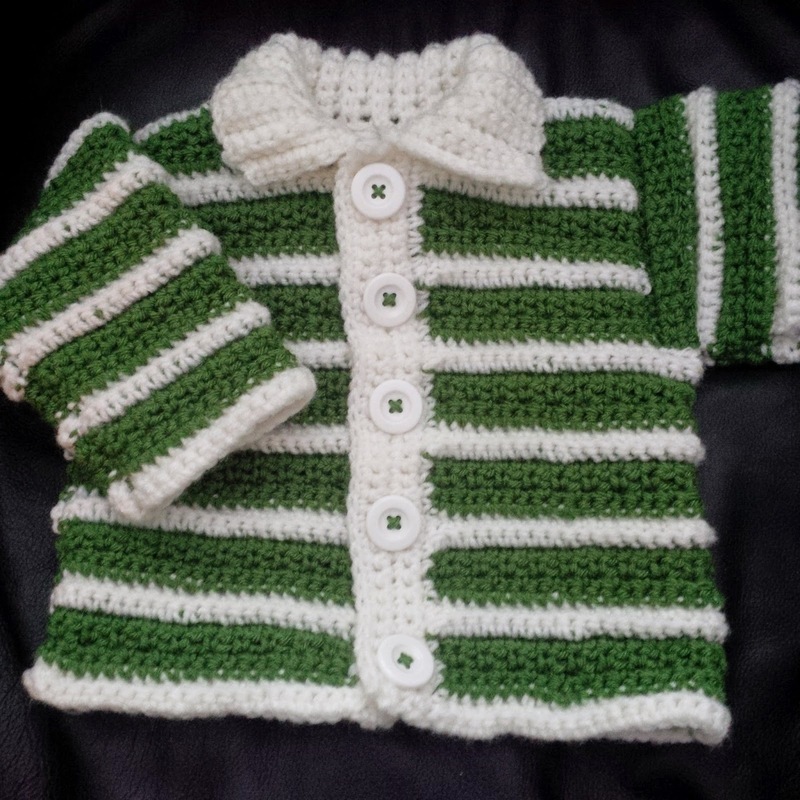 The sweater was finished out with matching large buttons, attached with the green yarn to make them really pop. This sweater would compliment any outfit for an infant and would make a great spring/fall jacket for those days that are not quite warm enough for a t-shirt.